Wes delivers engaging and actionable talks, where audiences learn how to apply out-of-the-box thinking and leave the room feeling empowered to take action. 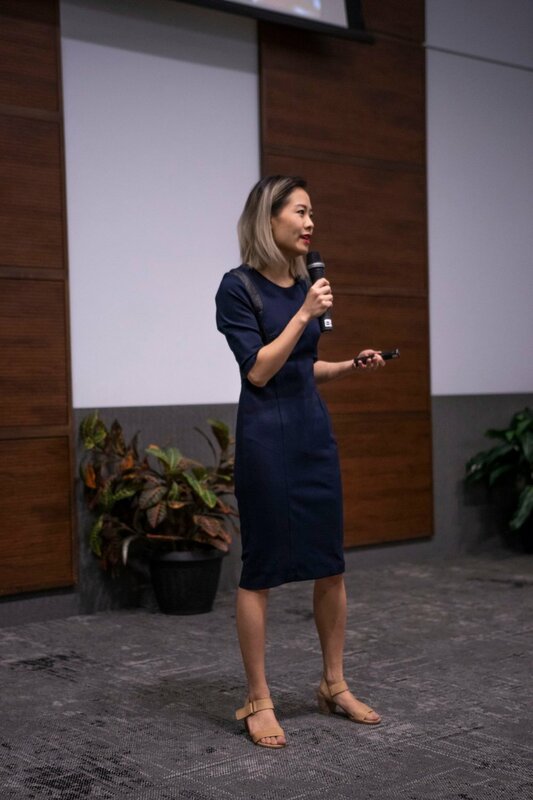 Her speeches are tailored to your audience, and filled with actionable takeaways, tools, frameworks, and real-life case studies to help attendees gain a fresh perspective. To inquire about booking Wes, schedule a consultation or contact wes@weskao.com. 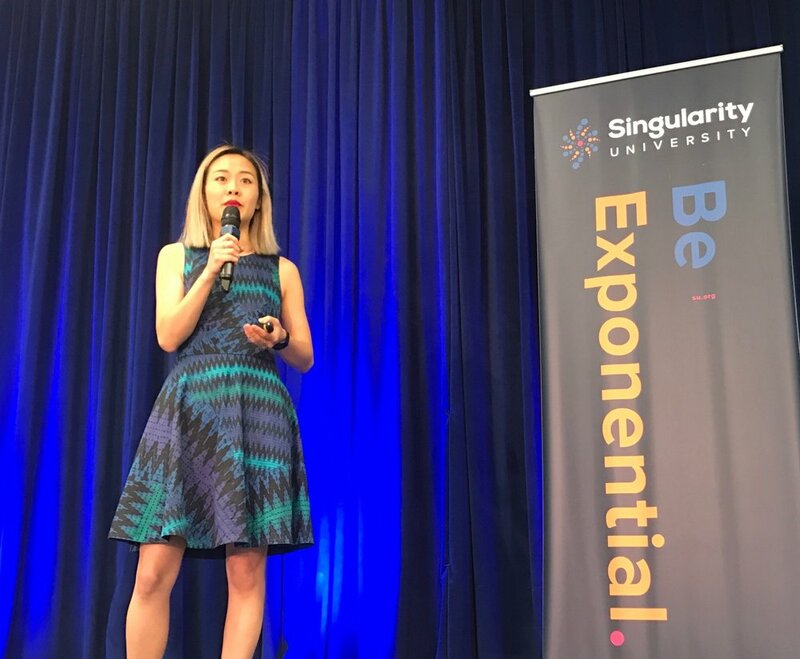 Wes has given talks to audiences of innovators, scientists, policymakers, executives, and leaders from 40 countries at Singularity University. Since technology is only getting cheaper and more readily available, people are the bottleneck to adoption and change. Leaders, scientists, and technologists need to think like marketers to ensure their innovation reaches audiences and inspires action. Wes speaks at a variety of workshops, conferences, and events in Seth Godin's community of 1 million blog readers and fans. This includes in-person events, such as the Ruckusmaker Workshop in New York, "Seth in London" event, altMBA Alumni Gathering event in Hastings-on-Hudson, Tribal Gathering at the Fashion Institute of Technology, as well as virtual community events like digital meetups, Zoom video gatherings with participants from dozens of time zones, and Seth Godin's Leadership Workshop. Wes speaks on the topic of marketing innovation, agile product launches, and creativity to a sold-out audience of startup founders and corporate executives at Lean Startup Conference in San Francisco, CA. 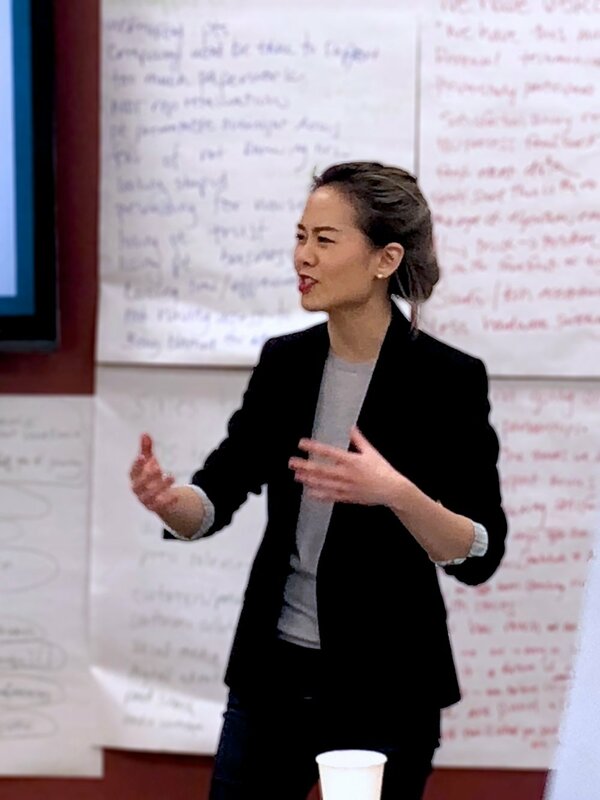 Written transcript: "No One Knows the Right Answer: The Uncomfortable Truth About Running Lean"
Wes speaks on marketing innovation, workplace culture, leadership, storytelling, and building high-performing teams. Below are sample topics. Feel free to reach out if you'd like to schedule a call about a customized presentation. The bad news: Plenty of startups never gain traction because they don’t know how to connect with customers on an emotional level. The good news: Storytelling and strategic messaging is a skill you can learn as a competitive advantage. The outcome is you’ll drive more customers, more media coverage, more internal buy-in, and more brand awareness to increase the chances of your product’s success. Technical skills alone aren't enough anymore. In this talk geared toward engineers, scientists, researchers, technologists, and academics, Wes reveals the top mistakes technical leaders make when describing their ideas–and shares frameworks to help better market their product (and themselves). Competitors can copy your features cheaper and faster than ever before, and pure branding is too fuzzy to rely on. In today’s hyper-competitive environment, the smartest companies have created an asset that’s irreplaceable: community. This talk will introduce ways to design branded communities to foster authentic customer engagement. At the end of the talk, you'll understand how communities are the future of creating strong, resilient brands. To learn more about booking Wes, schedule a phone consultation.